I grew up enjoying the old science fiction, fantasy, and thriller pulp magazines, but in my teens I didn’t pay a lot of attention to the authors unless they really caught my attention. I was familiar with the name – Hugh B. Cave – but I couldn’t tell you much about his writing. Long Live the Dead is a collection of Cave’s writing from the pages of the fantastic pulp Black Mask. These stories reflect seventy years of Hugh B. Cave’s writing career. Think about that for a moment. Seven decades! That’s a long time to be writing a high level. The stories here are all outstanding. They all have a noir-ish sense about them, bringing to mind authors better known in the genre – Chandler, Hammett, Cain, or Spillane. But Cave shows here that he rightfully belongs in the same pages or on the same shelves as these other mystery writers. I’m not sure that I had a favorite among these gems. “Too Many Women” had me by the title alone, which seemed very ’40’s (meaning it was ahead of its time since the story was published in 1934). The story worked nicely and I knew I was going to enjoy this book since this was the opening piece. “Lost – And Found”, “The Missing Mr. Lee”, “Stranger in Town” – each of these were stories that stuck out as being particularly engaging. I really enjoyed the format for “The Missing Mr. Lee.” The reader takes the point of view of a detective interviewing six different people about the missing Mr. Lee. The story unfolds as we get the different points of view and learn a little more with each witness. In addition to the stories, I enjoyed Cave’s comments before each piece. These anecdotal bits are quite interesting and give us a nice insight into the author who clearly enjoyed his work. If you enjoy reading mysteries, and especially if you enjoy the classic, noir style of mystery, then you really should read this collection – you will feel as though you’ve ‘discovered’ a new author (even though he had seventy years worth of material). Looking for a good book? Hugh B. Cave’s collection of mystery stories, Long Live the Dead, are fantastic stories pulled from the pages of a classic pulp magazine “Black Mask” and are sure to please fans of the genre. I had read Ferrett Steinmetz’s ‘Mancer’ series and despite rave reviews by so many, I could never quite see what the fuss was all about. Reading the slug line for this book I thought the concept sounded really interesting so I thought I’d give Steinmetz another go. The concept: In the not-too-distant future, as more and more people are connected on-line someone has created a virtual heaven so popular that people are dying to get in. Literally. To access this digital heaven, known as the Upterlife, the synapses of one’s brain are uploaded and the physical body dies. This was great for the elderly whose bodies were about to wear out anyway. But the dead, now with nothing but time to think and communicate, don’t think too highly of the living. In fact, the living have become slaves to the dead – maintaining and upgrading the servers that host the dead network. The dead also begin a bit of snobbery, deciding which living person is worthy of being uploaded to the Upterlife and which ones are banished to an everlasting death. 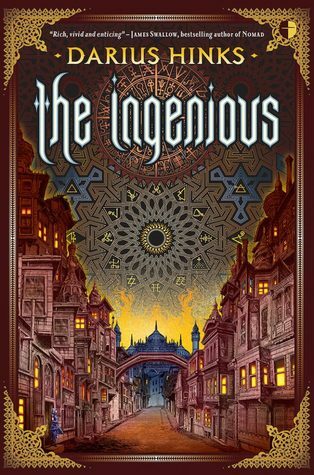 One young boy, Amichai, rebels against the certain future of serving the dead for himself and his sister, and during the course of his rebellion he discovers that he is not alone in wanting a better life. I really, really like the idea here. Steinmetz has a great knack for high sci-fi concepts. That this doesn’t steer away from any sort of potential religious controversy is definitely in its favor. But a good sci-fi novel needs so much more than a great concept. It also needs characters and motivation and heart. The first couple of chapters opened up so nicely and I thought to myself – ah, I think I will enjoy a Ferrett Steinmetz novel! But the further I got into it the less I cared. The concept became richer and clearer and I was really enjoying it, but the characters never became any more full or interesting than they were in the first couple of chapters. Because of this, the book just became a strange combination of great concept/uninteresting characters. So while I wanted to read on to understand what was happening, I also just wanted the book to be over because the people who inhabited this world were so very uninteresting. Looking for a good book? 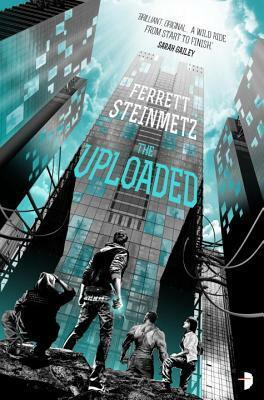 The Uploaded by Ferrett Steinmetz shows that the author is wonderful at giving the reader unusual and tremendous science fiction ideas but the characters and the worlds he builds don’t quite live up to the concepts. 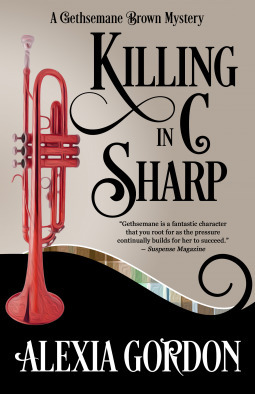 Killing in C Sharp is the third book in the outstanding Gethsemane Brown Mystery series by Alexia Gordon. Gethsemane Brown is a conductor/musician/teacher. She is currently living in Ireland (read the first two books to learn more about why she is in Ireland). The house she is living in has been haunted by the previous owner, himself a musician and composer. Gethsemane learned a lot about the ghost-world and paranormal activity – or so she thought – from her interactions with that ghost, Eamon McCarthy. She and Eamon have gotten along quite well when he’s around – he’s even helped her solve a mystery – and so when a ghost-hunting television show wants to set up in her home to find and track Eamon, Gethsemane will do whatever she can to protect him. She does this by deflecting the crew. It so happens that there is another ghost, at a nearby opera house, that might show herself. Aed Devlin is a composer who has written an opera about Maja Zoltán. Zoltán died placing a curse on the opera house so that terrible things would occur on the anniversary of her death. Now with the opera written about her, the curse is blown wide open and the ghost hunting team has more than they can handle – especially as people start dying. Author Alexia Gordon has created a wonderful paranormal setting complete with rules that we are only just beginning to understand. It is couched in the real world and manages to ring true – except that ghosts interact with the living. She has also given us a set of characters that are intelligent, harried by everyday life, and a lot of fun to follow. Gethsemane has to balance her day job with protecting her ghostly friend Eamon and finding ways to help solve mysteries. I definitely liked the addition of the new, more evil spirit in this volume, but at the same time I missed the musical connection that was so apparent in the first book and still somewhat present in the second volume. The musical connection was there, with the new opera, but it was much less direct and didn’t have as much to do with Gethsemane’s abilities. All in all, I am really enjoying this series. Gordon writes a smooth, detailed, and complex mystery that is quite enjoyable – especially for those who like a little paranormal thrown in. Looking for a good book? Killing in C Sharp is the third book in the Gethsemane Brown Mystery series by Alexia Gordon and is a terrific read. The Chessmen by Peter May is the third book in The Lewis Trilogy. I’ve read the first book and reviewed here on my blog. I enjoyed much of that first book but only gave it three stars because, being the first book in a trilogy it was mostly story and character set-up and lacked a tight story … which makes a little sense if you are looking at the entire series rather than just a book. This particular book is much tighter and stronger for it because it is the climax of the series. Fin Macleod left the backwoods backwaters nearly two decades earlier, moving on to become a police detective in Scotland. Now he is the head of security on the privately owned Lewis Estate. He is investigating some illegal game-hunting on the island when he runs into local poacher ‘Whistler’ Macaskill. Fin and Whistler have a history together from their youth. Whistler also holds on to a secret that will change a lot of the dynamics of the locals if it should be revealed and now Fin will have to make some tough choices. I’m not usually a fan of flashbacks but in this book we look back at Fin’s early days, when he was part of a small band that had aspirations of becoming something bigger and worked hard to achieve that goal. The players in these scenes are mostly relevant to the modern-day mystery. The sub-plot/set-up story, characters, and their relationships are all quite interesting. I was also incredibly fascinated not just by the climax of the story, but by the denouement! How often is the denouement as interesting as the climax? But while Fin’s delivery to the court almost comes across as a Hollywood film spectacle-style speech, it’s still rousing and makes for good drama. This was a good, strong story with interesting characters. I’m now curious as to what happened in the middle book of the trilogy since I never felt like I was missing anything. Looking for a good book? The Chessmen by Peter May is a wonderful mystery that explores characters and their relationships with one another and is a good rainy-day read. The Not-So-Brave Penguin by Steve Smallman is an adorable little book. Who doesn’t love penguins? And who can resist a not-so-brave penguin that steps up and does something brave? Percy and Posy are young penguins. Percy is outgoing and adventurous while Posy is cautious and timid. Percy loves to slide down icy slopes on his bottom as fast as he can, but the idea is terrifying to Posy who also doesn’t like loud noises or the dark. One day a new iceberg floats up near to the penguin home and Percy can’t wait to investigate – hoping there might be some great new slopes to slide down. Posy, of course, won’t go. As night comes on and Percy isn’t back, Posy gets nervous and the adults don’t seem too concerned. At first light, Posy rushes over to the new iceberg and slides down a long slope to find Percy hurt at the bottom where he is grateful the Posy came to find him. This book has just about (but not quite) everything you want in a children’s book. Cute pictures that kids will love to look at. A cuddly animal. A moral that would hit you over the head if you were a little older. And a story that promotes self-determination and individuality. But it is missing something for me. I shared this with my wife and my now older children to see if they had similar reactions. They each thought it a nice book but thought that something was missing – though they couldn’t pinpoint what, exactly, without some prompting. What we don’t get is why Posey rises above herself and goes after Percy. While we see them together in many pages of the book, we see them as contrasts. While we might assume that they are close friends, we don’t get that, either in the story or in the pictures. They have different likes, they do different things, and nowhere are we told they are close friends. So why is looking for Percy so important to Posey that she conquers her fears for him? Of course assumptions can be made and actually having a conversation about a book with a child is an important part of reading to a youngster, but I still wish there was something other than inference about their relationship to lead us to Posey’s actions (especially given the adults’ lack of concern). Looking for a good book? 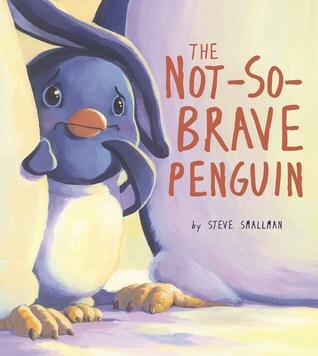 Not-So-Brave Penguin by Steve Smallman is a cute and charming children’s picture book that is likely to be a favorite for a child’s early years. Another James A. Moore book! Yes! This one was a little ways back in my ARC queue, but I’m always happy now to read some great fantasy from the hands of a modern master. And if you’re not sure if this will be exciting enough for you, take note of that slug line on the top of the book: Total war. That should get your heart racing! The Silent Army is the conclusion (?) of the Seven Forges series – a series that I haven’t read in its entirety and am likely reading out of order. But I don’t care. I get caught up in Moore’s worlds and stories so easily, and he lets us know what’s important for the story at hand, that I don’t miss what I don’t know (this isn’t true with all writers and their series of books). As with the other James A. Moore books I’ve read, there is a lot of brutal killing here. This is the sort of fantasy that would have been labelled “Sword and Sorcery” when I was first reading books of this nature by authors such as Michael Moorcock, Robert E. Howard, Fritz Leiber, Lin Carter, and others. Elric and Conan and Fafhrd did their fair share of hacking as well, so this sort of fantasy brutality is nothing new. And as for sorcery … we have a city that floats and moves out of the way (among other things), so there’s plenty of appeal and good reason to label this as sword and sorcery fantasy! What this only barely touches on is how the armies wipe out and/or absorb the communities in their paths, and the final battle between two chosen champions that will have the reader holding his/her breath in anticipation. Moore’s story (both this and the larger story arc of the series) is about gods and the battle of mortals challenging those gods, which makes for high drama, but the books work so well because against this backdrop of godly battles is a story of individuals serving as champions and trying to understand their own place in the world. It is these stories of individuals that connect us, the readers, to the book and have us caught up in the greater story. I don’t easily put a writer on my “must read immediately” list but James A. Moore is now there and I look forward to my next Moore adventure. Looking for a good book? The Silent Army by James A. Moore is the epic conclusion of the Seven Forges series and is a tremendous climax that is well worth reading.